As it's wont to do, Amazon shows the discounts on the battery packs as being greater than they actually are (as $60 for the 20000 and $111 for the 26800), counting the discount from the MSRP rather than the historical price. These are still the best deals we've seen on the packs, though. Each also comes with a USB-C wall charger, which is a convenient bonus. But that's not all! 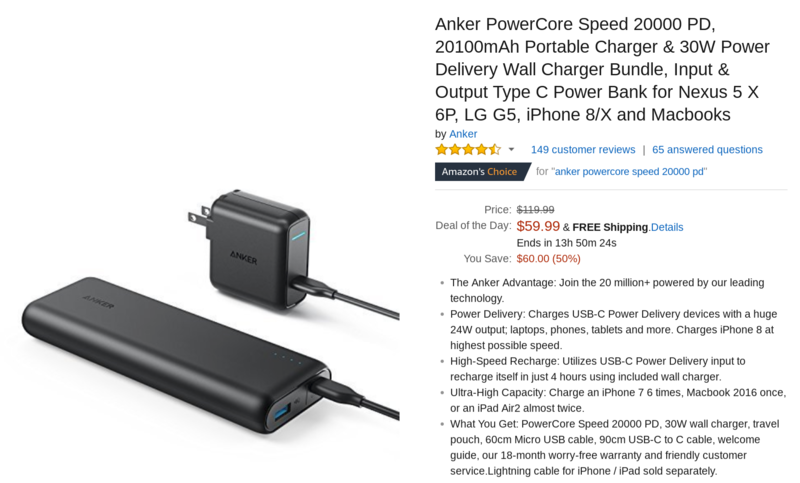 Amazon also has a number of other Anker goodies on the cheap today, including wall chargers, car chargers, and more. 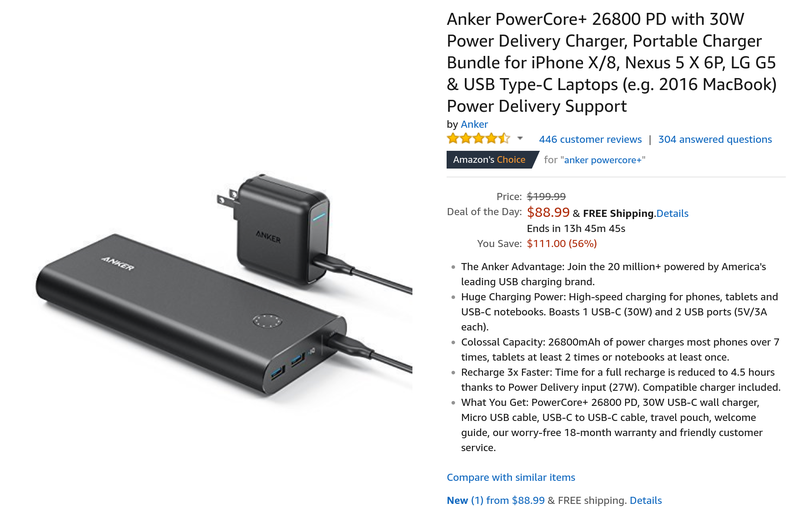 All these deals are good until midnight tonight, Pacific time, so if you're looking to step up your charging game, grab them while you can.